As a start for the New Year, I’ll begin the column for this quarter with a “State of SSI” report. SSI is much stronger now than it was a year ago. 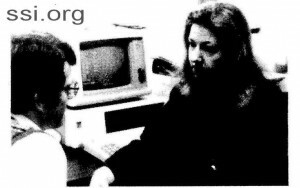 As a result of commitments to ongoing research programs, we had begun 1982 with far smaller financial reserves than the Institute should have. SSI is now in a relatively solid position; out of the “crisis management” mode, though not yet with anything like the reserves we need. The improvement has come through a number of initiatives: higher staff efficiency brought about by increasingly automated information handling; the saving of one year of mass-driver research support because my work on the computer-aided design of Mass-Driver III was done at no charge; and most of all by your own actions. In 1982 SSI’s membership more than doubled, the new Membership Renewal drive was even more successful than we had hoped, there was also a large increase In the number of Senior Associates, and finally there were several gifts, some of them entirely unanticipated, in the range of $3,000 to $20,000. SSI Trustees, responding to the lnstitute’s needs, were prominent among the givers. I cannot review the year without emphasizing the fine quality of the SSI Staff and the harmonious working environment that the staff provides at SSI Headquarters. And I am delighted to have with us Dr. Les Snively, who is working at the Princeton Physics Department in a program wholly funded by SSI. 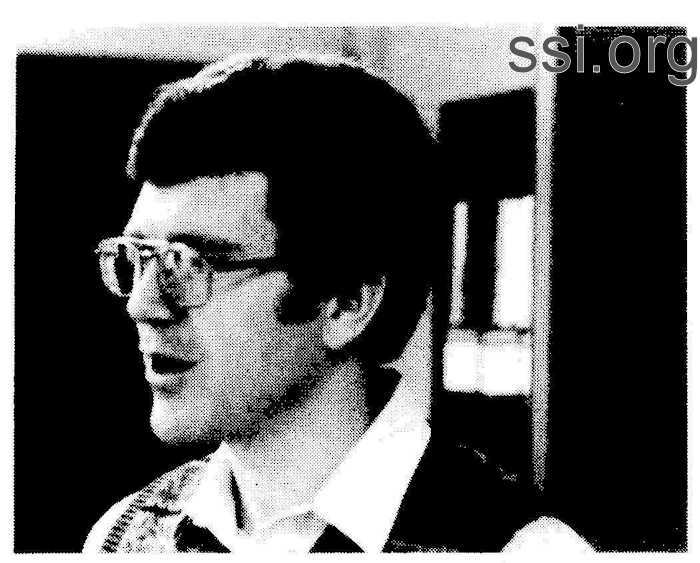 In his “spare” time Les has been of particular help to SSI in its computerization. Les is now building Mass-Driver III, a machine that will be very similar in most of its parameters to the first section of a lunar launch catapult. He describes the current status of his research in a companion paper in this issue of Update. As you know, 1983 is the second year of a five ­year SSI program aimed at establishing the technical feasibility and approximate cost of opening the High Frontier(sm). 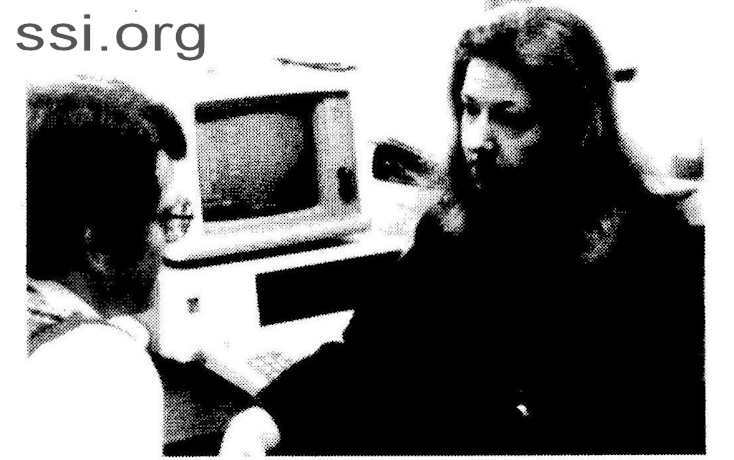 Specifically, by about the beginning of 1987 we expect to have completed the proof-of-concept research, some pilot-plant testing and the second round of cost studies, essential to a decision by either the private sector or a government to commence a five year action program that would establish a large scale industry in high orbit based on solar energy and lunar materials. That program is going well so far and all the results are positive. Assuming that the present ongoing research of highest priority (the mass-driver catapult and the chemical separation of lunar material) continues to go well, we expect to commission around 1985 studies by aerospace companies on the necessary hardware not already under development for other purposes. That includes in particular a re-usable Lunar Lander. Our design philosophy will be very similar to that of the Delta rocket program, which has successfully launched more than 150 satellites over more than a 20-year period. That philosophy is to use wherever possible hardware (engines, control systems etc.) that have already been developed and flight-proven in other programs. After many reviews it still appears that our largest scale industrial opportunity, and responsibility, on the High Frontier will be the construction of solar power satellites (SPS) for solving the energy problem. Each SPS would supply as much energy (10,000 megawatts) on Earth as the output of 10 large nuclear plants, and each SPS would have a saleable value delivered to geostationary orbit of at least $10 billion. During the past year research at RCA and other places on amorphous silicon solar cells, of large size and low cost, has made SPS look even better. Recently, in an ex­change of private correspondence, a consensus was reached that removes a roadblock to our SPS plans. The story began in 1981, when many of you wrote to me with serious concerns over a long report published at the time by the National Research Council, an arm of the National Academy of Sciences. The NRC report reviewed the “classical” NASA/aerospace Industry approach to SPS, based on lifting all of the 100,000 tons of components of every SPS from the Earth in giant rockets many times the size of the Space Shuttle. The NRC concluded that SPS was probably feasible technically, and probably acceptable environmentally, but that it would be too expensive to compete with coal and nuclear electric power because of high costs for solar cell construction and especially for lifting components from the Earth. In one page out of the 250-page report, almost as an afterthought, the NRC added (without proof) the statement that its overall conclusion on SPS would remain negative even if the SPS components were built in space out of materials taken from the Moon. Last summer, after carefully reviewing the NRC report, I wrote to Dr. Frank Press, the President of the National Academy of Sciences, to point out that while the NRC report was well done overall, its comments on the lunar materials alternative were not substantiated and were inappropriate to a scientific work. Dr. Press circulated my letter to the panelists who composed the report, and in a recent letter reported to me their consensus that indeed the NRC study had not addressed the lunar materials alternative and could really make no responsible statement about that alternative. So from now on, if anyone brings up that report to you when you describe the SSI plan for SPS built out of lunar materials, you can respond with the general information that I have just given you. Obviously, as both my letter and that of Dr. Press were private, I cannot release the verbatim language. 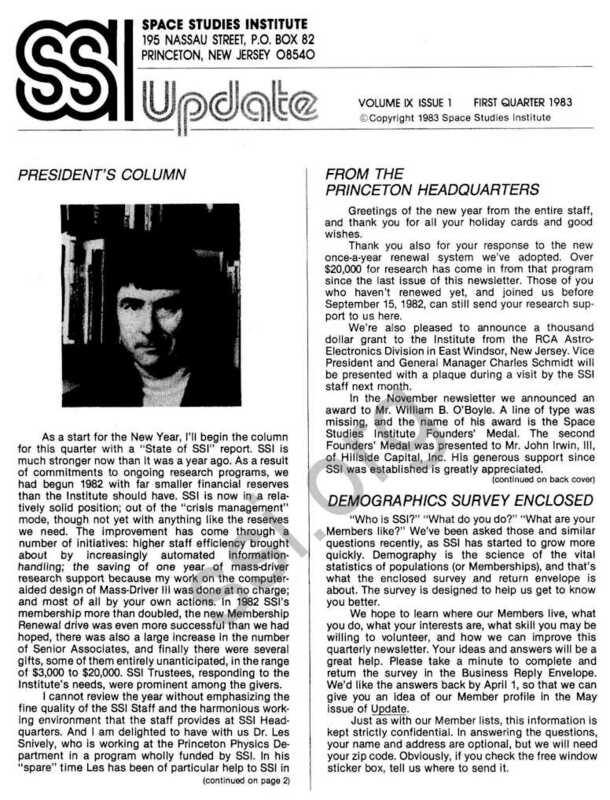 The big SSI event of 1983 will be the biennial Princeton/SS! Conference on Space Manufacturing, set for May 9-12 in its traditional site at the Woodrow Wilson School of Princeton University. Unfortunately, this year an irreconcilable conflict between the University’s schedule and that of the AIAA forced us to choose between AIAA sponsorship and holding the Conference in a location and time convenient for the participants. We chose the latter, and will be publishing the Proceedings Independently, but SSI’s relations with AIAA remain cordial and cooperative as always. Other major events in 1983 will be the completion of the extended first phase (chemical reaction studies) of the SSI-funded Rockwell Aerospace Corporation research on producing pure metals, silicon and oxygen from lunar soils, and, if all goes well, the early testing of Mass-Driver III. It will be a big year for SSI, and I appreciate very much the high quality of the staff, scientific and member support that I am being given as we enter it. Greetings of the new year from the entire staff, and thank you tor all your holiday cards and good wishes. Thank you also for your response to the new once-a-year renewal system we’ve adopted. Over $20,000 for research has come in from that program since the last issue of this newsletter. 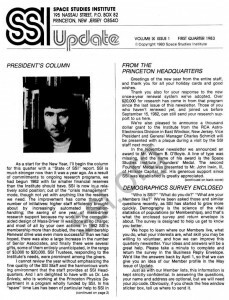 Those of you who haven’t renewed yet, and joined us before September 15, 1982, can still send your research support to us here. We’re also pleased to announce a thousand dollar grant to the Institute from the RCA Astro­Electronics Division in East Windsor, New Jersey. Vice President and General Manager Charles Schmidt will be presented with a plaque during a visit by the SSI staff next month. In the November newsletter we announced an award to Mr. William B. O’Boyle. 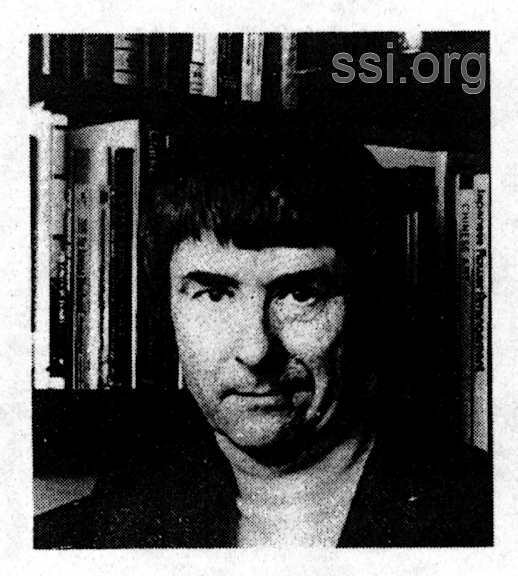 A line of type was missing, and the name of his award is the Space Studies Institute Founders’ Medal. The second Founders’ Medal was presented to Mr. John Irwin, III, of Hillside Capital, Inc. His generous support since SSI was established is greatly appreciated. Several of you have also written asking for the names and addresses of other Sustaining Members near you, perhaps to notify them of local space­ interest meetings or conference. The Space Studies Institute cannot release those lists. However, if you have a postcard-sized message, and would like your name, address or phone number given as a contact, SSI would be happy to sort those Members near you and send them cards with your announcement, for the cost of the cards, printer time and postage. That will alert those in your area, and maintain the confidentiality of our lists. In recognition of outstanding commitment to the Institute, administrative assistant Erin Medlicott became the first recipient of the Distinguished Service Award on December 20. Erin is also a Senior Associate, and her unflagging humor and hard work help keep the Institute running smoothly. And finally, congratulations to the winner of our Recruitment Contest, Morris Hornik. Morris’ hard work and dedication have added new members and Senior Associates to our rolls. He will be presented with a NASA print next month. “Who is SSI?” “What do you do?” “What are your Members like?” We’ve been asked those and similar questions recently, as SSI has started to grow more quickly. Demography is the science of the vital statistics of populations (or Memberships), and that’s what the enclosed survey and return envelope is about. The survey is designed to help us get to know you better. We hope to learn where our Members live, what you do, what your interests are, what skill you may be willing to volunteer, and how we can improve this quarterly newsletter. Your ideas and answers will be a great help. Please take a minute to complete and return the survey in the Business Reply Envelope. We’d like the answers back by April 1, so that we can give you an idea of our Member profile in the May issue of Update. Just as with our Member lists, this information is kept strictly confidential. In answering the questions, your name and address are optional, but we will need your zip code. Obviously, if you check the free window sticker box, tell us where to send it. Erin Medlicott is administrative assistant to Dr. Gerard O’Neill, and is Secretary of the Board of Space Studies Institute. She also attends Polytechnic Institute of New York in a graduate program. The following is a recent interview with Les Snively. How is your Mass-Driver lab work progressing? The purpose, then, of working in the lab this Fall is to prepare for a demonstration of Mass-Driver III at the Space Manufacturing Conference next May? Exactly: to test, to show the new ideas Dr. O’Neill has come up with, the “pull-only” system, to verify that the idea is correct, that the simulation is accurate, and that in fact we can build a full-scale Mass-Driver that will work at roughly 1,800 or 2,000 gravities acceleration, that we’d eventually like to be able to use on a full-scale lunar model. What would the next step for Mass-Driver development be, after you have a working model? Assuming everything goes well, we’ll look and see what problems we’ve encountered and what experience we’ve gained from the computer simulation. If we can accurately model a Mass-Driver operation with the simulation, the next step will be to write a full-scale Mass-Driver simulation, to find out if there is anything unusual that will happen when you really go to a 150 meter machine with velocities approaching 2,400 meters per second. If nothing funny comes of that, then it’s a question of whether we farm out some later stage of building to a University, whether we do it at Princeton or whether we just see if anyone in the open market would like to build one. Maybe Rockwell International would put an extra stage on their Shuttle! We’ll have to wait and see what interest we get and what would be best. That decision won’t be made until we have completed the testing that we now have going, and when we actually get the model to work. So there are two or three options, and we’ll just have to see at the time which looks best. Are there any special problems that have cropped up between September and now that have caused delays? I’ve found some problems that Dr. O’Neill hadn’t seen in the simulations. Fortunately, all of them have been more or less easily solvable, and we’re back on track, I think. I don’t see any major stumbling blocks; there will always be the minor ones that keep coming up. Unfortunately, “Murphy’s Law” loves the Physics Lab, just like it loves everyplace else, so I’m sure we are going to come Into some things that we just can’t anticipate. We’ll keep our fingers crossed that we can keep Murphy out of the lab long enough to make some progress. When will it be feasible to make a profitable use of the Mass-Driver? Something interesting came out of a discussion I had this week with Jim Early, a scientist at Lawrence Livermore Labs, in the Bay Area in California. His views were from the standpoint of worrying about how to sell research projects; LLL is trying to find new technologies to go into. Early doesn’t see how he can make a case, for example, to the Department of Defense, to give them research money to develop anything for perhaps ten or twenty years; that is his feeling. Our hope is that we can usefully launch material off the Moon say, within ten years, if we believe that we can meet a “low profile” road to space manufacturing that Dr. O’Neill has outlined (Astronautics & Aeronautics, 1978). We’d like to have the Mass-Driver on the Moon within a decade. It certainly could be that fast, if the funding is available, or if we can bring advocates with money into the program. It’s only a question of getting the dollars to do it… the technology will certainly be ready. Dr. Les Snively received a Post-Doctoral appointment in the Princeton University Physics Department, to work in the Mass-Driver lab under a grant from SSI. His previous work at Montana State University in the Physics Department involved low-dimensional magnetic interactions. He began work on the Mass-Driver project in October, 1982. The simple design change which makes building so much easier and better was to realize that a “pull­-only” machine would be self-guiding or self-centering, as opposed to the “push-pull” operation of MDI and MDII. In the earlier prototypes this need for dynamic guidance required the use of magnetic-flight guide strips. Those strips in turn reduced the space available for the bucket coil. By using the self-centering, pull­-only design, and by increasing the diameter of the drive coils, the ratio of bucket coil diameter to drive coil diameter could be made quite large. It is that ratio which largely determines the strength of the electromagnetic interaction between the coils and the magnitude of acceleration the Mass-Driver can generate. A second realization was that the drive coils can work independently of one another, at least in the beginning portion of MDIII. This makes construction many times simpler and faster, compared to the complicated electronic switching and coupling necessary for MDII. In fact, it may prove to be best to use nothing more “high-tech” than inexpensive sliding contacts to act as the coil triggering mechanism. As with any research, it is always pleasing to be able to use well­ known, reliable “old” concepts where possible, because most of the things that would go wrong already have gone wrong, and solutions have already been found. We have chosen the length of MDIII to be 50 cm (19 inches) made up of 20 coils. This test section will be the same as the first 20 coils of a full-scale lunar Mass-Driver. We feel that most of the important and problematic effects will occur in this section. The diameter is 40 cm for the drive coils, and about 38 cm for the bucket coil. This is also the nominal diameter of the proposed lunar model. The only part of our prototype that will not be to lunar scale is the mass of the bucket. Because we have a limited amount of energy storage capability, we have made the bucket mass only 1110 (40 gm) that of a lunar bucket-payload mass. This allows us to test the design to see if we can achieve our goal of 1,800 g’s acceleration, without a major investment for capacitors as additional energy storage. That will mean the bucket will emerge from our 19-inch section travelling at nearly 250 miles per hour. Presently I am completing the construction of the test stand and the installation of the first drive coil. Each drive coil, as mentioned earlier, is independent. Thus we can build the prototype one coil at a time, if necessary, to further reduce the difficulties of testing the system. By the time you read this, we will have had our first “launch”, barring any major problems. If you are interested in an up-to-the-minute progress report, the SSI staff will be glad to give you information. We want to have Mass-Driver III completed and ready for a demonstration at the Princeton/SSI Conference on Space Manufacturing in mid-May. If we make that deadline, we will of course be happy to show off another step toward developing the potential and resources of the “High Frontier.” For those who are not able to attend the conference I will include another update of the MDIII work in the next newsletter. 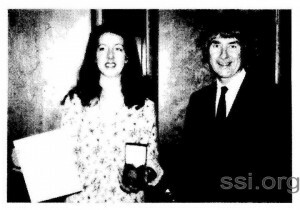 May 9-12, 1983 are the dates for the biennial Princeton/SSI Conference on Space Manufacturing. Work is progressing well on all the many and varied parts of the Conference. Below is a list of paper sessions and the leaders who have agreed to chair them. As in the past, the first three days of the Conference will be paper sessions, open only to those who have registered with the Conference Center and paid their fees. Thursday, May 12, will be an open day, on which leaders give a summary of the papers presented in their sessions. This year, each person who attends the sessions and meals will be required to pay the Conference fees, except those people presenting papers. (*) not open to the public. January 29th – Princeton University Alumni*, Houston, TX. February 16th – Rochester Museum of Science, Rochester, NY. February 26th – RCA Astra-Electronics*, East Windsor, NJ. March 3rd – Delta College, University Center, Ml. April 6th – IBM*, San Francisco, CA. April 21st – L.S.B. Leakey Foundation, Pasadena, CA.